Home theater is the hottest thing on the market right now - but what is it? Why would you want it? And what do you really need to get it? Below, I'll explain the basics of Home Theater. You can have a "Home Theater" with a setup as simple as a TV set, a pair of stereo speakers, and a DVD player. But usually Home Theater consists of something a little more elaborate. In fact, setting up a home theater can be entirely affordable. You likely already have at least one of the key elements-a TV set! So what else do you need and what exactly is the goal? 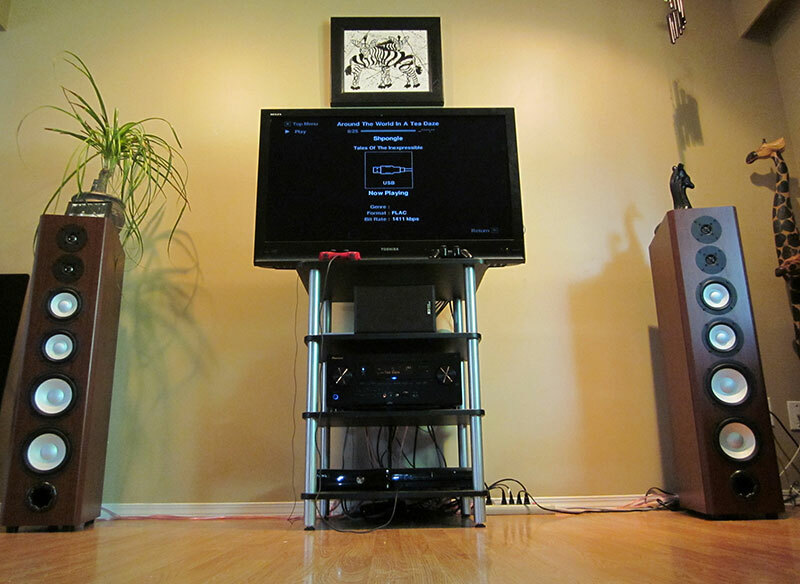 A basic home theater system consists of a pair of front left and right speakers on either side of the TV, a center-channel speaker on top (or beneath) the TV set to anchor the actors dialogue at the TV screen no matter where you sit, a pair of smaller surround speakers to either side of your couch that carry all the effects and ambient sound of a movie or TV show-street noises, planes flying, jungle sounds, the noise of rain, thunder, or crickets, distant explosions or rumbles of tanks, and all the myriad of other sounds that make up a complicated movie soundtrack, including, of course, the movie score, the music and rock songs that underscore the action on screen. 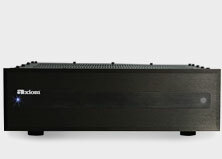 Lastly, most home theater systems add a subwoofer, typically a square black box that produces ultra-deep bass sounds-rumbles, storms, deep musical bass and the like. 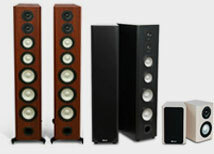 If you've kept count, that's a total of six speakers, including the subwoofer, and it comprises "5.1-channel" sound (the .1 is the subwoofer bass channel). But all the speakers needn't be big. 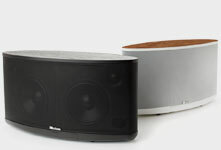 Because the subwoofer carries much of the low bass energy, the other "satellite" speakers can be compact and visually unobtrusive, no larger than a hardcover book. To this mix, you must add a Dolby Digital Surround Sound Audio/Video receiver, which contains all the circuitry to "decode" the DVD or videotape movie soundtrack and effects, plus five built-in amplifiers for each of the five loudspeaker channels (the subwoofer always has its own dedicated built-in amplifier). And finally, you need a DVD player. (You can use a Hi-Fi stereo VCR, but it will only deliver analog Dolby Surround, not 5.1-channel Dolby Digital.) A DVD player is less than $100, and a Dolby Digital/dts A/V receiver can be had for $200 or more. To that, add perhaps $1,254 for an Axiom Epic Midi Home Cinema system, including the powered subwoofer. 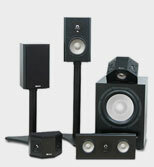 That's it - a complete surround sound home theater system. Dim the lights, micro the popcorn. Let the show begin!